I hope you are trying your best for achieving success in PMTs. Some of you may be feeling a lot of confusion in revising the topics so I am posting revision preference and brief details about what to do beyond NCERT and test papers…..
1.HUMAN PHYSIOLOGY- extra knowledge may be require for AIIMS,BHU etc. 2.PLANT PHYSIOLOGY- need coaching notes in photosynthesis and mineral nutrition. 4.PLANT CLASSIFICATION-look at angiosperm classification else where. 5.ANIMAL CLASSIFICATION- NCERT sufficient but need specimen study for AIIMS. 7.GENETICS-look outside for deviations from Mendel laws and pedigree. 8.HUMAN AND PLANT REPRODUCTION-NCERT sufficient. NOTE: Focus yourself only on NEET this time. Keep revising NCERT and solve at least one paper daily. I HOPE YOU ARE TRYING YOUR BEST TO ACHIEVE YOUR DREAMS………..
1.NCERT IS MUST FOR BIOLOGY AND INORGANIC CHEM. 1. NCERT ARE THE MAIN CORE BOOKS FOR PREPARATION.WITHOUT LEARNING NCERT SPECIALLY IN BIOLOGY AND INORGANIC CHEMISTRYYOU CAN NOT CLEAR THE EXAMS BECAUSE ABOUT 100% QUES INAIPMT AND 80% QUESTIONS IN AIIMSARE DIRECTLY BASED UPON NCERT. 2.CLASS NOTES PLAY A IMPORTANT ROLE IN UNDERSTANDING THE CONCEPTS SPECIALLY IN PHYSICS BECAUSE BOOKS DON’T TELL U EVERYTHING.SO IF U CAN ARRANGE COACHING NOTES OR ANY CLASS NOTES,JUST GO FOR IT. 3. MUST DO A LOT OF OBJECTIVE QUESTIONS AS MANY AS YOU CAN. BOOKS ARE SPECIALLY MEANT FOR DOING A LOT OF QUESTIONS.IN AIPMT ABOUT 60% PAPER IS BASED UPON PREVIOUS YEAR QUESTIONS. 4. MUST SOLVE ATLEAST 15 YEARS PREVIOUS QUESTION PAPERS. A-R QUESTIONS IN AIIMS PLAY A VERY HUGE ROLE BECAUSE THEY NEED HIGH LEVEL OF CONCEPT APPLICATION.SO START PRACTICE THESE QUESTIONS. BOOK:::::MTG PUBLICATION BOOK FOR ASSERTION REASONING…..IT HAS SOME ANSWER ERRORS BUT IT IS BEST BOOK FOR A-R ACCORDING TO ME. MANY OF YOU Are FEELING LOW ABOUT G.K. ASKED IN AIIMS. DON’T WASTE YOUR TIME IN READING depth G.K. BECAUSE IT CONSIST ONLY 10% OF PAPER AND CUT OFF GOES ABOUT 65% TO 70%…. FOR G.K……ONLY SOLVE LAST YEAR PAPERS AND SEE MAJOR DISCOVERY AND EVENTS IN SCIENCE……LEAVE THE QUESTION THOSE ANSWERS ARE NOT KNOWN BY YOU……IT PREVENT NEG MARKING. 14. Recreation Facilities – sports, culture, literature – AIIMS and AFMC are the colleges where you would get ample opportunity to groom your interests and passion. 16. Salary – Confirm the current salary paid to the interns and PGs to the students in the college you are taking. Compare it with other colleges. It is lower in MP, Maharashtra and other states…In Delhi the salary paid to the interns is around 12-14000 and to the PGs its 50000 approx..
AFMC is ranked 2nd by these magazines but no student getting under 1000 rank in AIPMT goes for it. In fact many students prefer taking less known medical colleges in B grade towns of MP, UP and Bihar instead of AFMC. Even some students getting selected in AFMC only prefer taking a drop than joining it. VMMC is seen nowhere in the list but is the fourth college to be filled in AIPMT counselling after MAMC and simultaneously with UCMS and LHMC. Manipal and many private colleges have been included in the list but no one prefers it over any government medical college. They don’t take into account the Internal PG factor which is the most deciding factor while choosing a medical college. Excellent faculty, Excellent academic record, good infrastructure, inexpensive – just Rs.2500/year including hostel, delhi city as well as the Delhi PG advantage makes it the first choice in AIPMT counselling. It has been a trend always and every student follows it blindly. For PG advantage, – Southern candidates should better choose JIPMER and among the North Indians, those who care for their PG seats can choose in between VMMC and BHU in preference to MAMC. Note: Seth GS, Mumbai has very good infrastructure and is excellent in academics, hence it used to be the 3rd choice of students but because of the bond restriction, it is avoided now. Final note: Take your own decision, don’t get carried away by what others are suggesting. 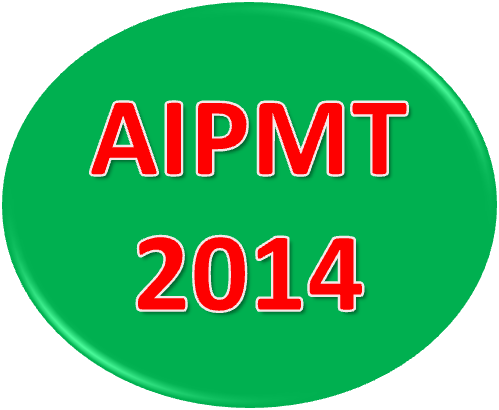 Hi guys, Congratulations to all the people who have been selected in AIPMT this year. I would like to request all the people who have been following my blog to step up and take the legacy of guiding PMT aspirants forwards…after all it’s Guru-Shishya parampara redefined! I’ll send you an invite. Accept it and start blogging! As the spring approaches for non-medicos, it becomes even more chilling for the PMT aspirants. With less than two months to go for the most awaited event of their lives (so far) i.e. the grand AIPMT-2014 the hubbub is in the air. I suggest you to hold-on-your-nerves, (u’ve really strived so far and so) maintain your confidence and have faith. For many still getting revising-strategy difficulties (from where and what to revise),we present u a 2-step plan for each subject as following…..
Good Luck, Give it a final-finishing touch, so that nothing important is left-untouched. Be boosted up-u’ll surely come-up with flying colours(if u’ve honestly made efforts He’d reward you for sure)!!!! 1. NCERT ARE THE MAIN CORE BOOKS FOR PREPARATION.WITHOUT LEARNING NCERT SPECIALLY IN BIOLOGY AND INORGANIC CHEMISTRY YOU CAN NOT CLEAR THE EXAMS BECAUSE ABOUT 100% QUES IN AIPMT AND 80% QUESTIONS IN AIIMS ARE DIRECTLY BASED UPON NCERT. BOOK:::::: MTG PUBLICATION BOOK FOR ASSERTION REASONING…..IT HAS SOME ANSWER ERRORS BUT IT IS BEST BOOK FOR A-R ACCORDING TO ME. DON’T WASTE YOUR TIME IN READING G.K. BECAUSE IT CONSIST ONLY 10% OF PAPER AND CUT OFF GOES ABOUT 65% TO 70%…. IF YOU HAVE ANY DOUBT OR PROBLEM……..JOIN ME ON FACEBOOK…..